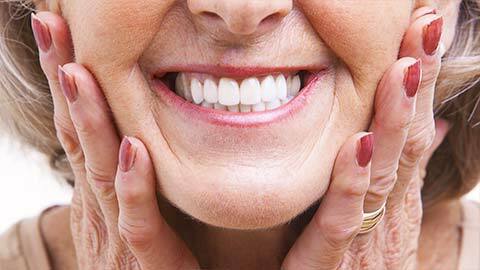 Are you considering dentures, or do you need to replace your existing dentures? 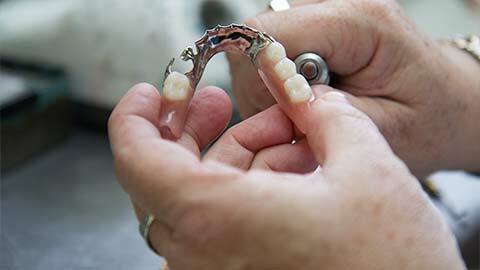 Chatham-Kent Dental provides denture fitting and adjustment services for patients. We provide natural-looking, comfortable, and durable dentures that will restore your natural smile. Depending on your needs we may provide full or partial dentures. Full dentures are used to replace the entire upper or lower row of your teeth. In cases where you wish to use dentures but have few remaining teeth we may either extract the teeth or provide a partial denture. Partial dentures replace individual or grouped-together missing teeth. They are designed to blend in with the surrounding natural teeth, giving your smile an even appearance. All dentures need to be held securely in your mouth. Properly-designed and constructed upper dentures can be held in place by suction forces between the denture plate and the roof of your mouth. Dentures can also be held in place with denture adhesive or dental implants. Partial dentures can also clip onto your existing teeth. A properly fitted denture will remain secure and in place while you speak and eat, letting you continue to enjoy your normal activities. If you have any questions about dentures, or if you’d like to make an appointment with Chatham-Kent Dental for a denture consultation, please don’t hesitate to contact our office.